The Chinese government has greatly increased the implementation intensity of environmental protection since last year, with the introduction of a number of rules and regulations to protect and improve the environment of people’s life as well as production activities. The focus of governmental performance evaluation has already been shifted from targets of purely economic achievements to improved environment. New manufacturing companies will go through an official Environmental Impact Assessment (EIA), where the production impact on water, atmosphere, soil, eco-system as well as the pollution control of solid waste and chemical products are evaluated. Only those that have successfully passed the EIM are allowed to continue the production. All existing manufacturing companies must also make improvement based on the environmental protection standards and undertake a new EIM. Those that have failed the EIM after the improvement are temporarily closed down for further corrective actions or completely shut down. We have noticed that most suppliers have passed the EIM by the government and received proper approval for their related operations. Some local governments have tried to setup qualified local processing facilities to be shared by all factories in the area. Those who rely entirely on outsourcing in remote places for processes that require environmental approval have to bear the additional transportation costs and also the risks of delayed delivery. Yet there are others who take to finish the process in-house without any qualification. The risks are very high for these companies because the factories could be shut-down at any time, not to mention the potential product quality issues. If the products you buy from China require some processing that require environmental approval, such as in a recent case we’ve come across where the products require Ni and Zinc-coating in the production, then special attention should be paid on how your suppliers are actually handling the process and whoever doing the operation has already gone through the EIM and does have the proper approval in place. Remember, gone are the days when factories in China can just about produce anything in total disregard to the environment. 1. Pressure meter blasting: the blasting pressure of cord thread should be about 2.1Mpa, and the normal operation pressure should be 0.35Mpa. Any triangular-shaped blasting reveals overloading. 2. Peeling of outer glue: ①Swelling. ②Wore out by external force. 3. Piston deformation and breakage: no air pressure or wrong installation angle. Appearance inspection, durability test, pressure blasting test. Glue composition, smelt setting time, vulcanization process parameters, leather bag size, air-tight test, piston size, etc. The current certification process of the automobile quality management system (QMS) typically relies on a system whereby an organization will be judged to either “pass” or “fail” the certification audit. 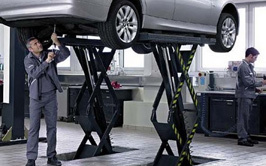 This makes perfect sense for the suppliers in the OEM supply chain, where the QMS of an organization that has been certified to IATF 16949 can be generally expected to perform about as well as that of any other similarly certified organization. When it comes to the diversified and differentiated aftermarket industry, however, this approach is quite unrealistic and not really applicable. There are distinct differences between the OEM sectors and the aftermarket in terms of the supplier organizations, product structures, and production scales. Even among the aftermarket manufacturers for the same product group, there are also huge variations in terms of corporate strength, technical competence, and production capability, which usually means substantially different sophistication of the QMS from factory to factory, not to mention the differences between those making safety and non-safety parts. In the complicated world of the aftermarket, a simple “pass” or “fail” does not truly reflect the effective quality assurance capability of the organization, nor does it demonstrate the real competitive strength or weakness among different organizations producing the same group of products. A more reasonable and realistic approach, as advocated by the Alliance of Automotive Aftermarket Quality Assurance (AAAQA) with its Automotive Aftermarket QMS Standards currently under development, is to assess the effective strength of the quality assurance capability of an organization with a rating system which applies to each of the critical components as well as the overall QMS. With such a rating system, international aftermarket buyers can intelligently review the parts as well as the whole QMS of an organization and make a practical selection choice as well as a sound procurement decision based on their own requirement of supplier risk management. For more detailed information on the aftermarket QMS standard and the general project, please visit www.AAAQA.org. The period after the Chinese New Year this year seems to be busier than usual following the sometime quite dramatic increase of raw material costs and appreciation of the Chinese currency since the later part of last year and continuing through to 2018. And the industry continues to see the impact of the government’s implementation of stricter environmental protection policy. Several major trade shows are taking place in April in the automotive industry. The traditional China Import and Export Fair (or Canton Fair), the 123rd Canton Fair, will be held from the 15th of April to the 5th of May. Phase I of the fair, from the 15th to the 19th of April, covers Vehicles & Spare Parts and other related parts. Visit www.cantonfair.org.cn for the official Canton Fair website. Auto China 2018 (2018 Beijing International Automotive Exhibition), one of the major trade events held every other years, will take place from the 25th of April to the 4th of May. The segment exclusively for spare parts will be from the 25th to the 29th of April at the old venue of China International Exhibition Center Old Venue (JingAnZhuang). Visit www.autochinashow.org for the official exhibition website. And the traditional Chinese Qing Ming (or Tomb-Sweeping) Festival is on the 5th of April this year. It is a public holiday for people to remember and pay respect to the ancestors and the deceased. SHENTOU SUPPLY CHAIN MANAGEMENT CO. LTD. is a Shenzhen, China, based company serving international automotive clients in the implementation of their China strategies and programs. CHINA AUTOMOTIVE SUPPLIER QUALITY MANAGEMENT BRIEFING is a monthly newsletter published by Shentou to address the specific and unique quality challenges and concerns international automotive companies face with suppliers in China. Comments are welcome at qms@shentou.com. Click here to subscribe. Copyright © 2019 Shenzhen Shentou Supply Chain Management Co., Ltd.